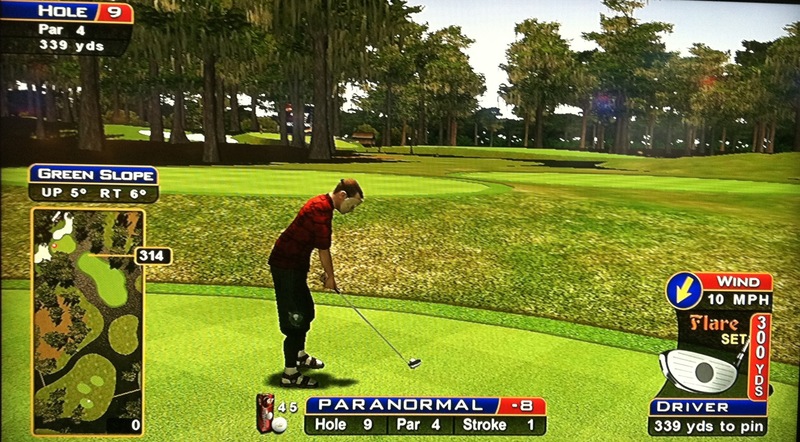 This section breaks down how to play each hole at Golden Tee’s Bayou Bay, which was voted by far the most difficult of the 2008 courses by the expert community. 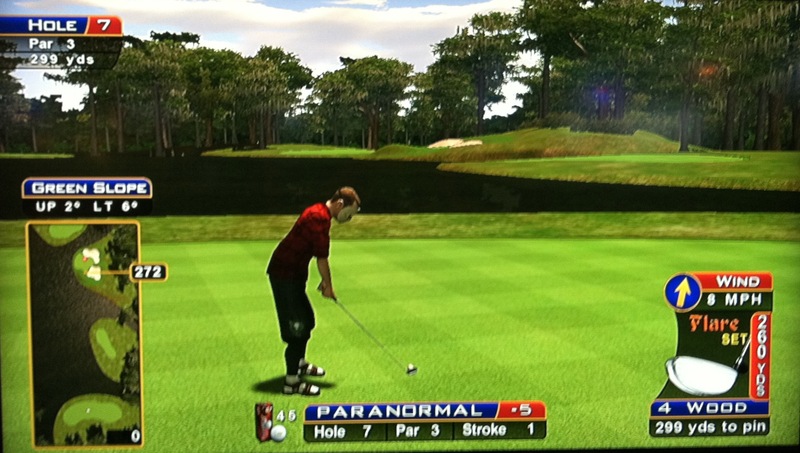 Hole #14 got multiple votes for being one of the hardest holes in Golden Tee Live 2008, and holes 9, 11, and 17 also got votes. 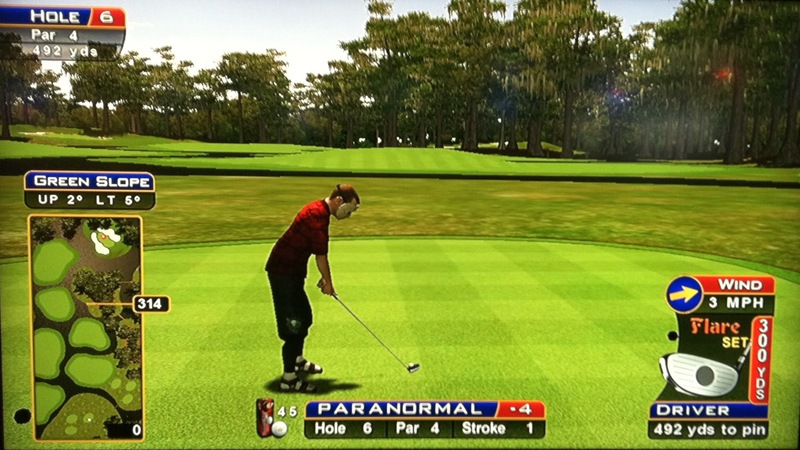 Bayou Bay is the toughest course in 2008 Golden Tee Live, and after polling several of the experts, I’ve found there are several different ways people choose to set up to attack this vicious course. The most popular choice is to play with the old hybrids (“old birds”) and the orange balls. In addition, multiple people recommended either the low-loft (FTX) clubs and the orange balls, or the old hybrids (“old birds”) and the D2 balls. Finally, a select few said they preferred the high loft clubs or the stock clubs with the orange balls. As you can see, there’s no consensus on how to attack this tough course, so try a couple different options here and see what works best for you! A long, mostly unreachable par 4 to start off. Set up your drive for an easy, accurate approach into this large green. Here’s an example hole-out. 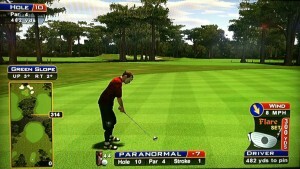 Another long par 4 where you usually need to avoid the trees on the right and lay up at the end of the fairway. It’s sometimes drivable with a big A1 off the front tees when the wind is blowing to the right. Don’t leave your approach shot short in the sand! Here’s an example hole-out. 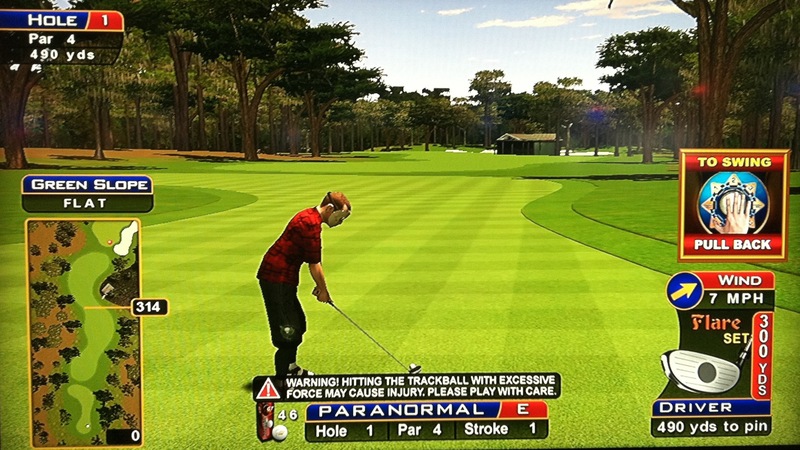 If you’re among the tee boxes on the right, watch out for the trees – you may need to hit a B1 shot to avoid them. Don’t let your shot leak too far right towards the water! There is a hill behind the green that will stop an aggressive shot at a back pin. Here’s an ace coming in from the right! There are so many looks here it’s hard to list them all, but below are several examples of how you can attack this hole for eagle. From the far left front box, click left a ways and you can see a green landing area with a house to the left of it. An easy B1 driver to the left will get you there. If you go past and in the rough, you can make it easy to the green still. If you go in the water long, you get put on the landing pad and still make birdie. From the left back tee box, with a tailwind you can still make the house layup spot with a hammer A1. Or you can click to the right of the fairway across the water and you’ll see a tiny landing spot that will leave you a 280-320 B3 shot to the green. From the left tees, another option is to rotate left one and hit a B1 – leaves you with a backspin driver into the green for an eagle putt. Here’s a hole-out from a lay-up island to the left. From the middle tee box, with any setup, you can leave it pointed down the fairway and slam an A1 with topspin or backspin, depending on the wind. That will put you in the fairway with just a 6-iron to 3-iron shot into to the green. Sometimes you’ll end up in the rough but you can still get there in 2. You can also try for one of the island spots on the right, but they’re tough to stick and have a lot of trees to go around. From about anywhere, you can lay up at the left edge of the main fairway and aim to bring a 5-wood into the green around the left side of the trees. Another option from the middle tees is to hit a B.5-2.5 backspin driver off tee to curve around tree in front of you and reach landing area. 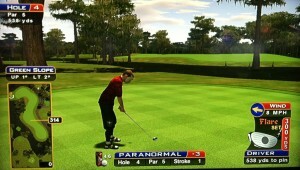 Then it’s almost the exact same shot into the green for an eagle putt. From the right tee box, pick out and stick the right landing spot. From there, it’s fairly easy to get home in 2. Reachable in one, but the difficulty depends on your setup with the wind. 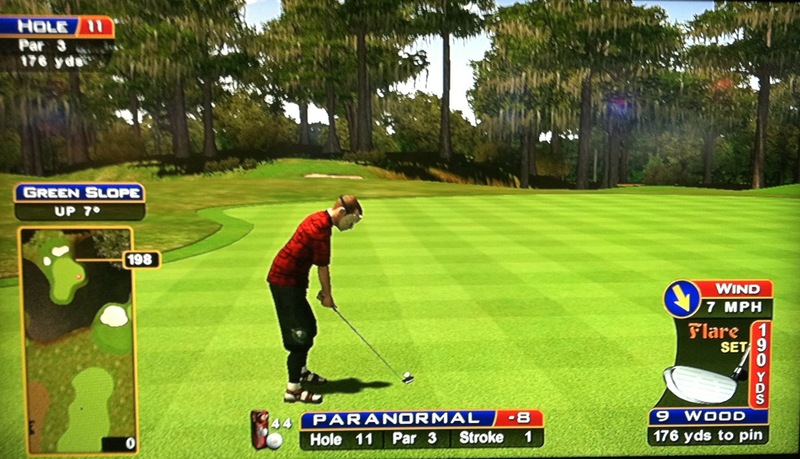 If the wind is blowing right, it helps a ton – hit a slight B.5 – 1.5 out to the left to dodge the trees on the right. Anything else, and you’ll usually be hitting more of a A-B to 1-2 shot to curve around the trees. Occasionally, you’ll be able to go through or over the trees as well. Remember that a B1 shot cuts distance, so hit it harder than normal. 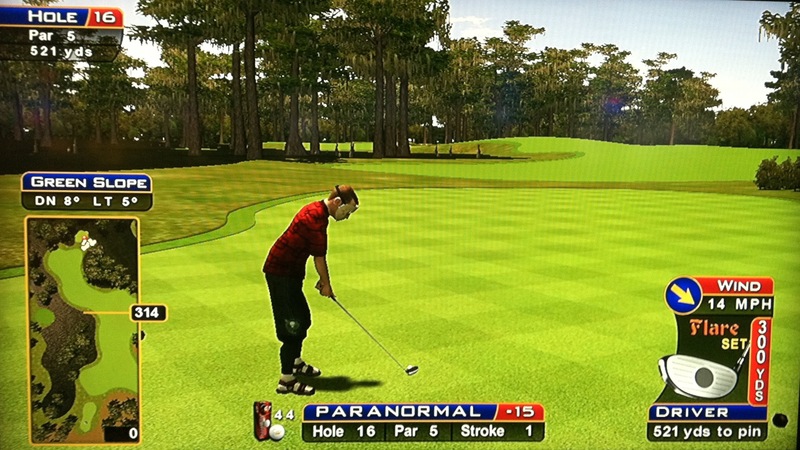 Even if you dodge all the trees, you still may end up in a bunker – this green is tough to hit! Beginners might just want to lay up at the end of the fairway with a 2-iron or 3-iron. Here’s a great driver hole-out from the left tee box. There are two greens on this hole! 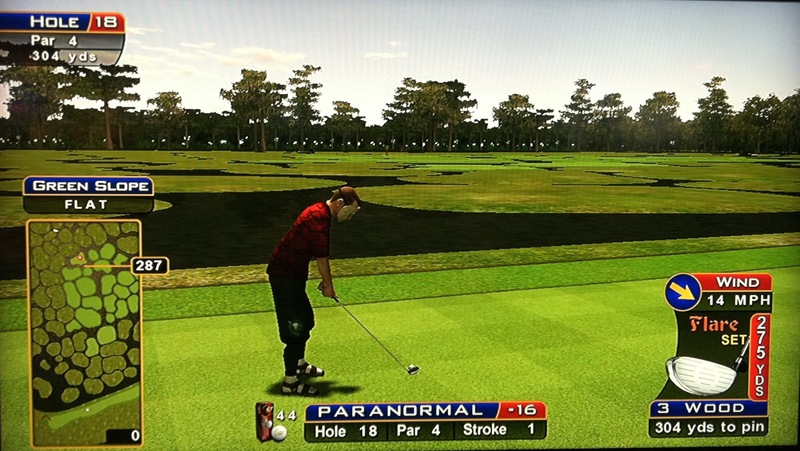 There’s only one situation where this hole is drivable – if the green is the left green, if you’re on the front of the left 3 tee boxes, and if you hit a big C3 — here’s an awesome skip-ace from the front box!. Otherwise, in most cases, you just need to pick out a landing area and stick the ball there for your approach — here’s an example hole-out. Stay out of the water on this long par 3 of around 300 yards. It’s usually a driver with backspin, and you want to land on the right side of the green since there’s strong break left towards the water. Here’s an example ace. Another Par 5 with tons of options, but it’s simplified into two main approaches. First of all, from all the tee boxes, you should locate the tee box up to the front and right. It’s about 300 yards into the green from there, and there’s a tree right in the middle of your approach from here. This is the box you should try to get to every time. Why? Because sometimes you’ll actually be lucky enough to get this box as your tee box, and then you’ll have a shot at double eagle! 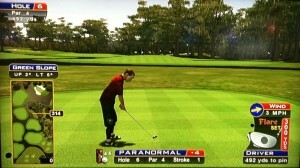 Check out this super albatross around the left side! Consistently getting practice from this tee box will help you master that approach shot. A couple important notes on your approach from there — you can hit a 3wd or driver around the left side of the tree trunk to the green (here’s an example double-eagle from the left side), or a driver if you go around the right side (there’s “invisileaves” if you hit a 3wd on the right side). To be safe, hit a small B1 or B3 around the tree to avoid any leaves. There’s another layup circle to the left of the one above, just under a tree. From here you’ll have a wood into the green. Or, check out this awesome 0-hybrid that straight skipped the water into the hole! If it’s too tough to hit this tee box from where you are, another option, as from the middle tees, is to rotate to the right and locate the end of the main fairway strip. Hit an iron out here and you’ll have 3-wood to driver into the green. There’s another layup island to the left that gives you an approach shot if you can land it. 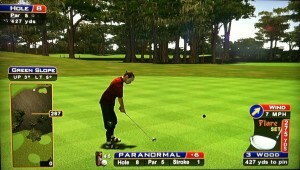 Check out this friendly bounce from the fairway! A very tough hole to stick the green off your drive, and sometimes it’s best just to lay up. From the left set of boxes, a C3 or B3 around the trees will get you there with a 5-wood to driver. From the right boxes, an A1 or B1 5-wood to driver will get there — here’s a nice ace that flew the green. An option on these types of shots is also to land the drive at the end of the fairway so it hops the water onto the green — here’s a great ace from the front right box. If you fly the green, it’s hard to stop the ball before it goes off the back into the sand. The middle tee boxes make this hole easy with just a straight 3-wood to driver — here’s a nice hole-out from the front box. There are two fairways to choose from, but 1 green. 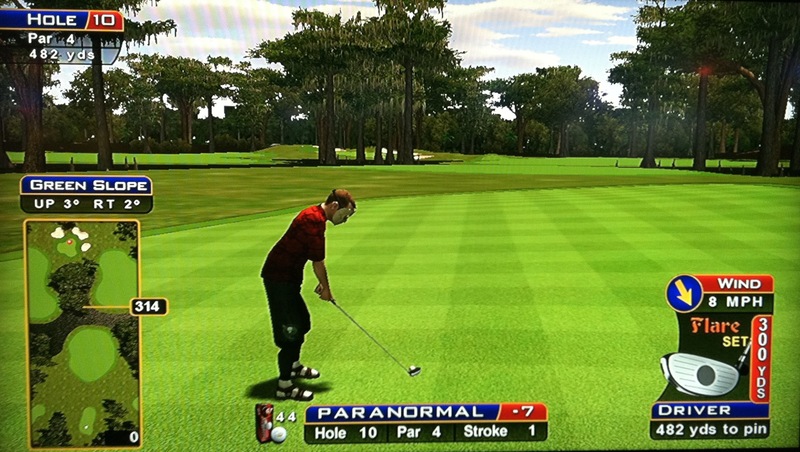 If you can make it to the left fairway (usually a C3 shot), you’ll have an easy approach shot. 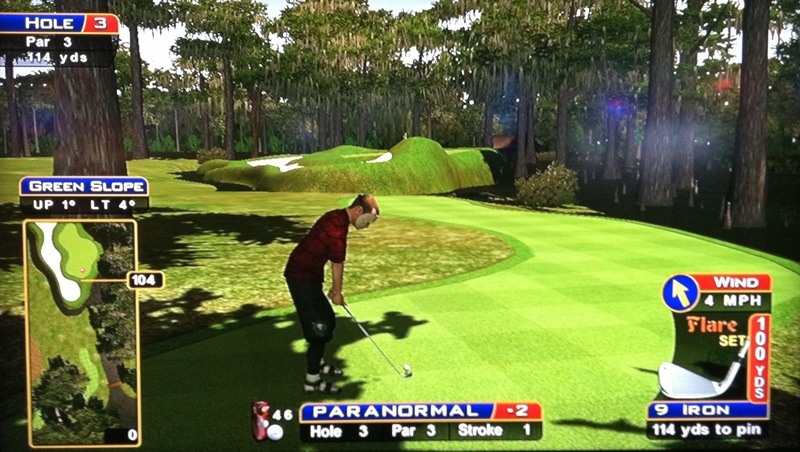 If you’re on the far left box, you can look left a ways and hit a driver through the gap in the trees to the fairway. Here’s a hole-out from the left side. If you’re on the right set of boxes, you’ll need an A1 driver to get to the fairway, and then you’ll have to watch out for the trees up top for your second shot. If you’re far enough back, a 2-iron or 3-iron goes under them. 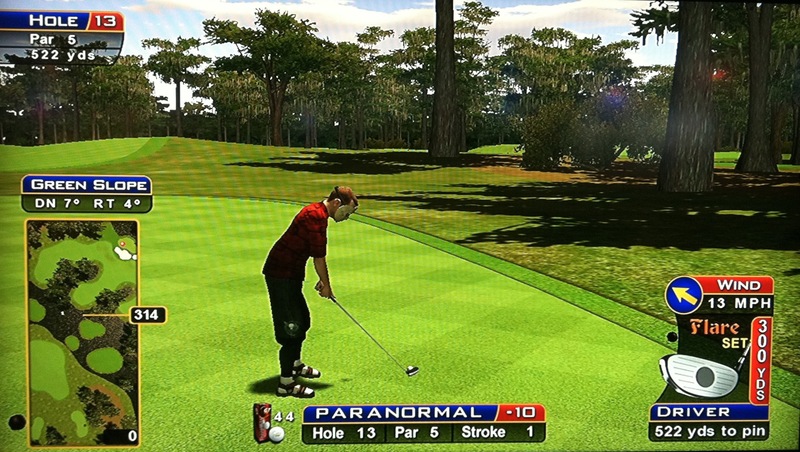 From the right box, you can sometimes go through the trees to the fairway. 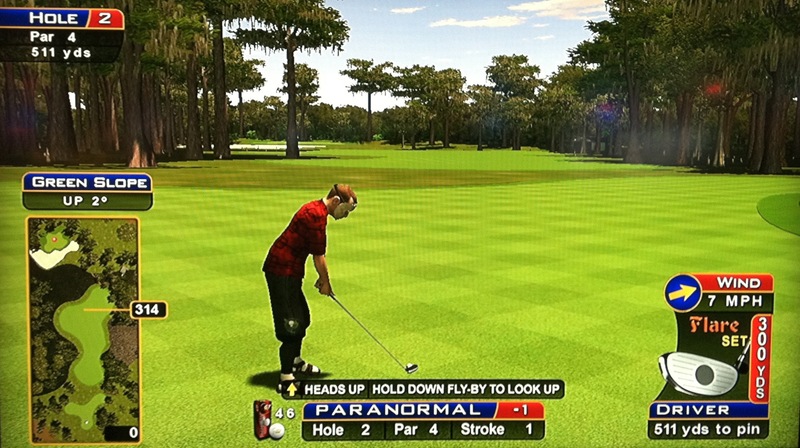 From the middle set of boxes, you can sometimes reach the left fairway with a good wind. Otherwise, just drive an A1 to the right fairway here too (better safe than wet). If you do have a choice of fairways, wind and pin placement should be the determining factors. 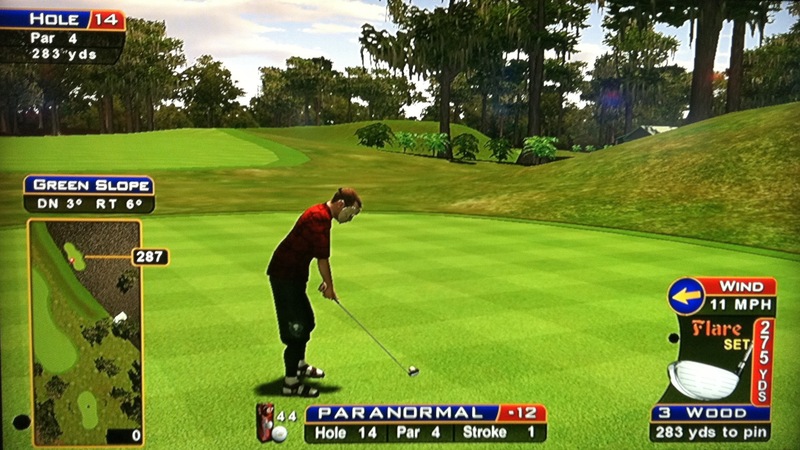 Here’s an easy hole-out from the right side. This hole can be tricky, and the wind really dictates what club to use. The green likes to leak to the right. Just play a straight drive down the middle. There’s usually no need to flirt with the narrow neck of the fairway, so just lay back in the fat part. Here’s an example hole-out. If you have a right tee box, you’ll need a C3 backspin 3-wood or driver. This par 5 has several options. From the middle tees, you can hit a B1 3-wood with backspin to the biggest and closest landing area to the right, leaving a C3-type driver with backspin into the green. 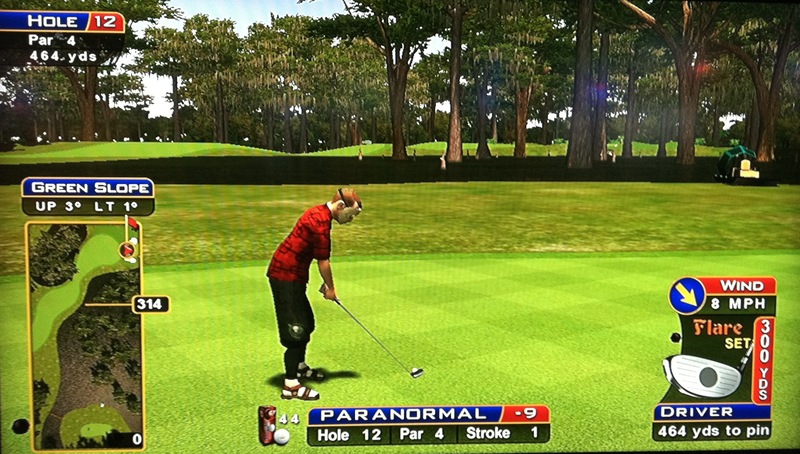 Or, if you can get to the end of the island closest to the green, you’ll have a 2-iron to 3-wood shot into the green (watch out for invisileaves). Here’s a hole-out from there. If you’re close enough from the middle tees, you can also hit a straight shot or an A1 to reach the middle of the 3 fairways. From the right tees, you can also hit a big A1 driver to land the main fairway, leaving only a 6-iron into the green (should have a big right/forward wind to help with this tee shot). Here’s a short approach shot for double eagle! If you are on the far left box, you can go to the farthest left of the 3 main fairways. Aim left of the left fairway and hit an A1. 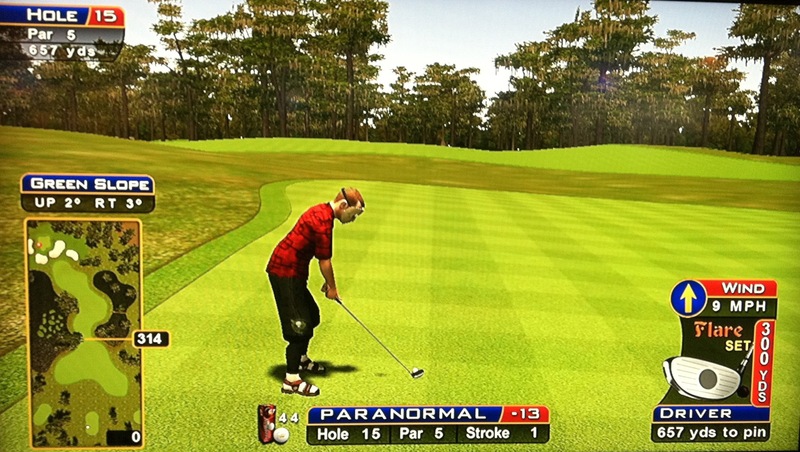 Make the rough or fairway and you have a clear approach shot. This par 4 can set up easy or very difficult. If you’re hitting across the lake to the upslope, its a 5-wood to driver, angled in from either side. Coming at it from the left, here’s an example hole-out. If it’s from the opposite side, you have a small river and a downward green which makes it tough to land with a bad wind. Here’s an example dunk! If you’re on the side box, there’s a tree that grabs almost all shots from here. Sometimes it can be straight, but it takes a masterful B3 around the tree to land on the right sloping green, and then you have to get lucky to stay on. 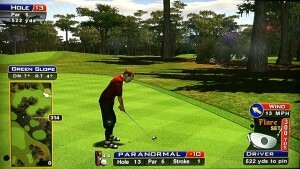 So, if you have this look, just lay up left of the hole for a SW approach. Sometimes you’re at the back of this death box and you have a favorable wind, where a 5-wood will clear the death tree. But watch out — you’ll need to clear 300 yards! Sometimes you’ll just have to lay up here if driving the green looks too difficult! This long par 5 can be very hard to reach in 2. From the middle tees and 670 or so out, just blast a couple straight drivers to get there in 2 — here’s a straight driver in for double-eagle. Otherwise, hit it as far down the fairway as you can with an A1 or C3. From there, sometimes you can have a 280-yard shot all the way up to a 370-yard shot. If you’re still 330+, there’s no way a B3 will get there, so you’ll need to hit a big C3 driver with backspin and still catch a lucky bounce. If you’re over 350, a big C3 driver with topspin and a lucky hop out of the sand will sometimes work — this shot got a nice bounce and rolled its way in! And here’s a nice bounce out of the sand! If you’re on the left box, you can turn left a ways for a tee box landing zone, or aim down the fairway and hit a C3 down the fairway and around the water. You’ll have an easy iron in from here. The middle set of boxes makes this hole tough. 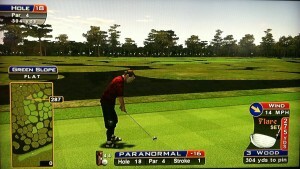 The fairway is similar to a torso and legs. If the wind is going to the right, hit a driver to the end of the left side of the left leg, but short of the stomach. From here, you will have a mini-A1 or a B1 5-wood or 3-wood to the green — here’s a nice hole-out coming in from the left. If the wind is going left, hit to the right side adjacent with the tiny island, or just a little past. This usually takes a driver also to stay under the trees. From here you will have a 5-wood to 3-wood B3 around the right side of those trees. If you’re on the right set of boxes, turn all the way right and look across the water. 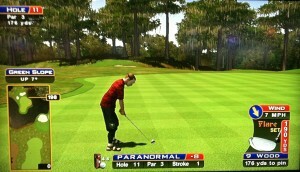 There’s a nice big landing zone there that is a straight 5-wood to driver into the green. I have no idea how this 3-wood skipped the water — amazing! This green is really tough, sloping down and left towards the water. 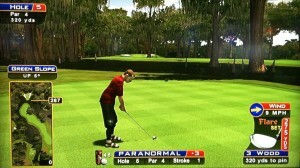 Watch a downhill putt here because if you’re off-line even by a hair, the ball will trickle into the water! 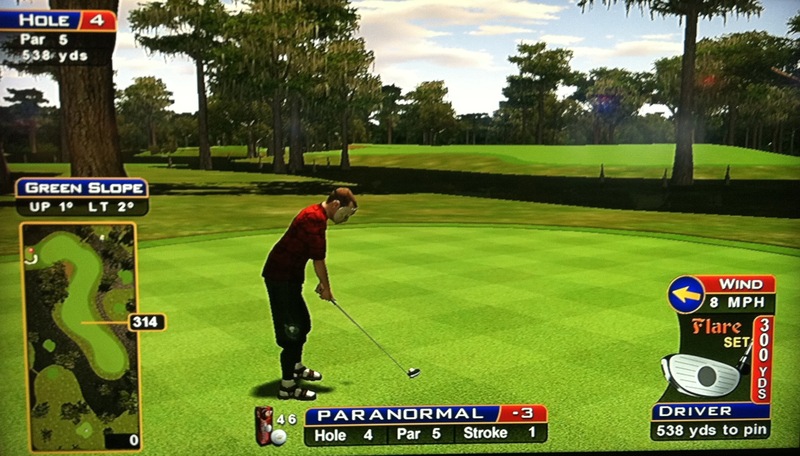 The tee shot on this par 3 can be anywhere from a putter to a driver! 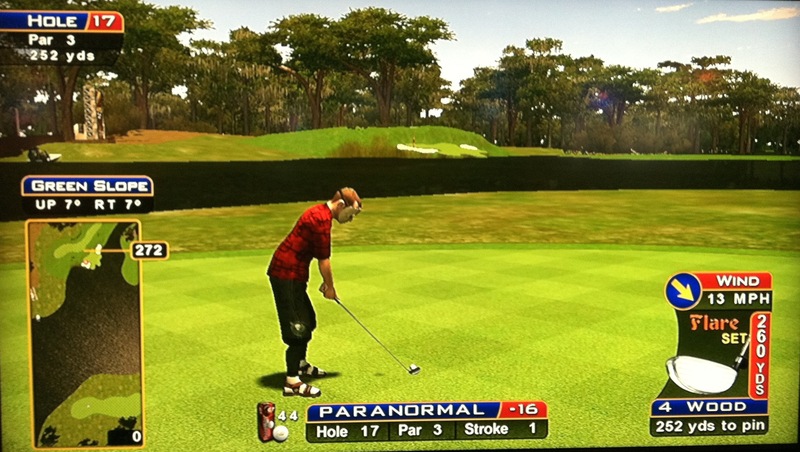 If you get a really close tee box, you can hit a putter down the hill to the green. Be careful with a downhill putt here, because this green likes the rollovers. With a funky wind from this close box, you might try chipping an iron at the green to help the wind not take it so much. Here’s a 24-yard ace with the lob wedge! From across the water, it can be a tough wood shot (usually a 3-wood). Try to land the green on the fly without spin and use the hill in back as a backstop, just like this! DON’T hit the hill on the fly or you’ll shoot back in the water! This par 4 is always drivable, although sometimes it’s 370 into a big wind. With water all around this tiny green you only want to go for this hole if it’s easy or if you have to have eagle to beat your opponent. An 8-iron to driver, always with backspin, is the club here. Here’s a nice ace with a 7-iron. Here’s a long one-hop dunk! And this is always an option — skipping across one island to another en route to the hole! If you choose to lay up, this can be tough as well. There are plenty of spots to do this, but make sure that you will have an easy 2nd shot into or with the wind because if you get wet laying up into a side wind, you’re looking at bogey.